Buy RSPS gold from RSGoldFund no matter which private server your prefer! RSPS stands for RuneScape Private Server. Of course, everyone here knows that RuneScape is probably the most well-known MMORPG on the planet, and there are plenty of dedicated private server communities that you can choose from should you decide to go the private server route. Unfortunately, not all of these updates have pleased the RuneScape player base. RSPS, or RuneScape Private Servers, were born from the desire many players and RS communities had to be more independent and in control of these updates, to continue playing the version and rules that they find to be the “best” or preferred way to play. Looking for Blood Money to use in OSRS (Old School RuneScape)? Blood Money is the term used in RS for the valuable currency a player can earn by killing another player in Deadman mode. Typically this currency is not able to be traded. However, you can swap RS gold including Blood Money right here at RSGoldFund. Deadman mode (often referred to as just DMM) has its own interesting economic system, meaning there are types of currency unique to Deadman Mode. One of these unique currencies is Blood Money. Blood money is quite coveted, mainly because you can use it on Nigel to purchase the highly sought after Deadman Armor. Buy OSRS Blood Money from RSGoldfund, and you’ll be ready to use it on Nigel and be awarded the coveted Deadman Armor! Runique is one of the most popular private RuneScape servers online, boasting a very large and dedicated community of RuneScape players. 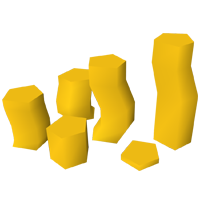 Buy Runique gold for use on the Runique server right here at RSGoldfund for less. We are the best source for Runique Gold on the web! We also proudly offer PkHonor gold, specifically for use on the PkHonor server. PkHonor is one of the several private servers still running OSRS. Whether you’re looking for PkHonor gold for sale or OSRS gold for an entirely different private server, RSGoldfund.com has all of your bases covered. We stand behind our RSPS gold products more than any of our competitors. Still, due to the nature of the game, there is always a risk when buying or selling on RSPS. We cannot be held liable for actions taken by game administrators. -We own any information we learn through trading with you whether that be ur RSPS name, ip, location & more, it all expressly belongs to us and you allow us to use it in any form we wish, by doing a RSPS trade at rsgoldfund you expressly allow this. -Your information may be shared with parties outside Rsgoldfund if we believe it to be in our best interests(counter scamming, you scammed us previously, you put rsgoldfunds income at risk through your actions on certain RSPS(duping, bug abusing, etc), any of the previous may result in your information being shared, however we as a company(rsgoldfund) promise if you are a LEGITMATE RSPS PLAYER who buys gold to trade,stake,play the game etc WE WILL NEVER SHARE ANY OF YOUR INFORMATION. We do not support dupers and bug abusers at rsgoldfund because it damages our income and the RSPS market as a whole when a server is duped on, if your gold is duped/gained through bug abuse WE DONT WANT IT.